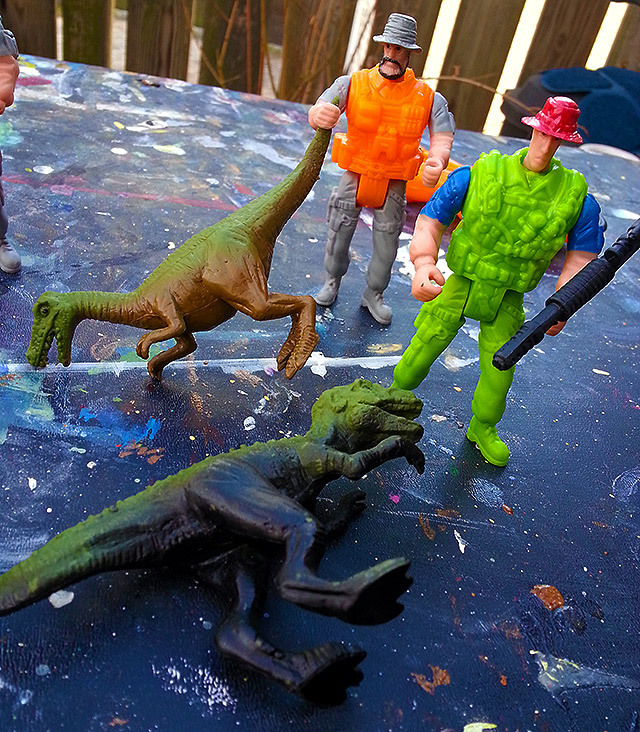 This $5 dinosaur playset is the best. | Dinosaur Dracula! Every Christmas, various department stores dedicate whole aisles to those super cheap “generic” toys. You know the kind. They always come in the same-style boxes, whether they’re sets of dominoes or princess baby dolls. 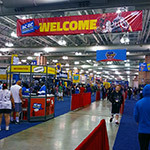 Shown above is one example. 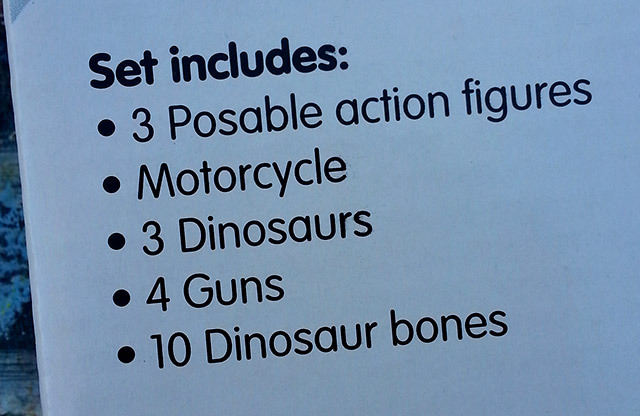 The “Dinosaurs Play Set,” a 21-piece assortment of Not Quite Jurassic Park toys. 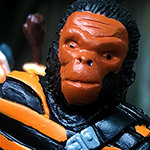 I found it in Walmart, sandwiched between a similar set that replaced the dinosaurs with tigers, and a stack of “Rad O Control” cars that appeared to come with purposeless mock remotes. 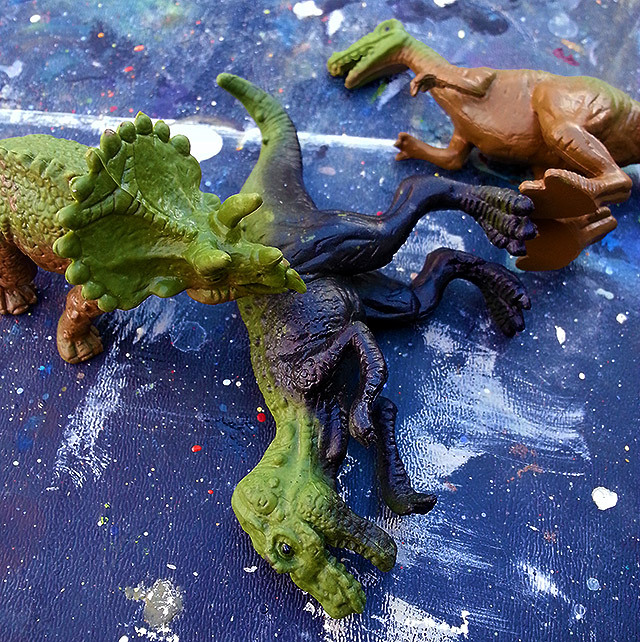 The Dinosaur Play Set leaves us with much to discuss! Quality of the toys aside, this is a great haul for five bucks. Let’s evaluate the contents, piece by piece. First I’ll need coffee and a good long look in the mirror. What are the chances that identical twins would grow up with the same natural aptitude for dinosaur hunting? 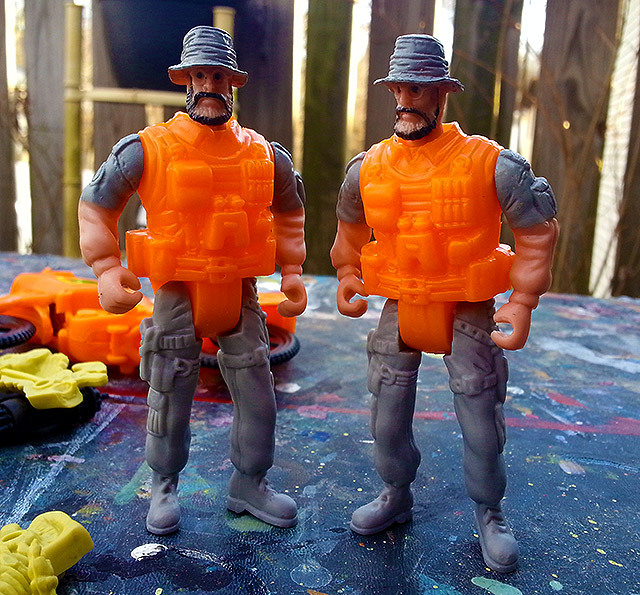 Mark and Clark wear identical outfits, outfits that I hesitate to call “uniforms,” as I’m not sure why you’d need inflatable life vests to hunt dinosaurs. Pay special attention to their forearms. 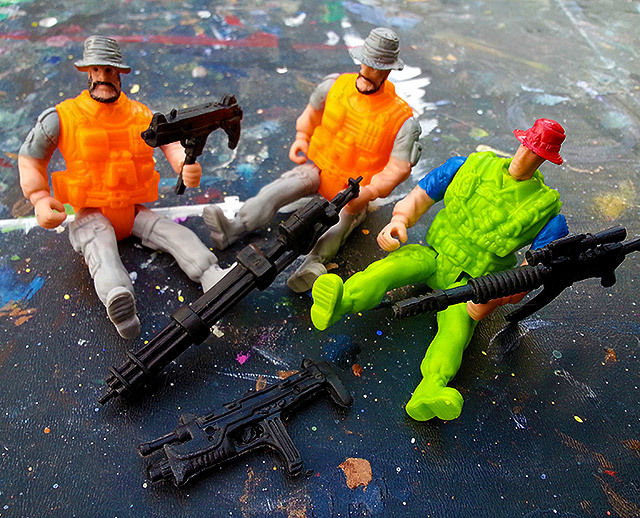 Apparently, the person responsible for painting these figures decided that dinosaur hunting was a “short sleeve” sport. 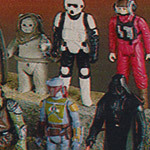 Of course, since the figures were already molded with puffy long sleeves, leaving their forearms unpainted just made them look like twin Popeyes. Mark and Clark take orders from this guy. We’ll call him Mr. Leader. Mr. Leader is an experienced hunter who knows the value of good camouflage, so he wears an outfit that will make him practically invisible should the expedition lead them directly in front of a keyable green screen. He too has mutant forearms. He got them by reassigning literally 95% of his head. The team’s weapons are gigantic and cumbersome. Clark’s gun is taller than he is. And why do we even need guns, anyway? 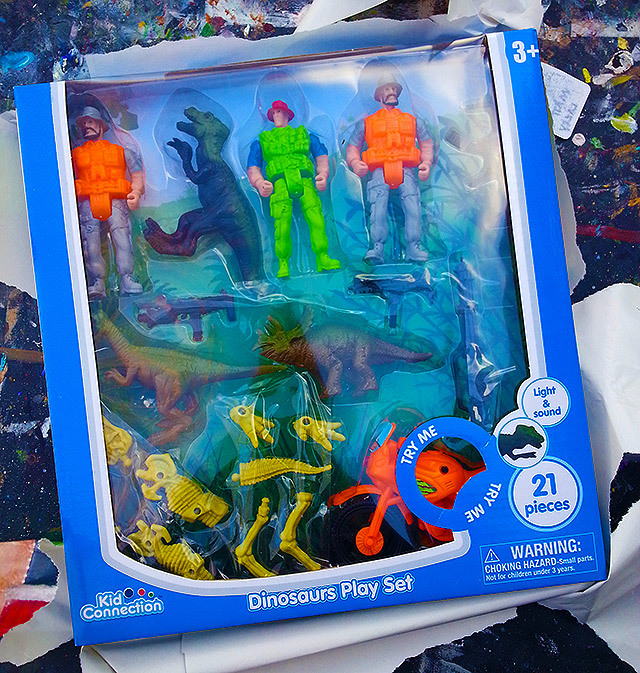 I get that we’re “dinosaur hunting,” but I thought that just meant “capturing.” This playset just lost so many points. I don’t want to shoot dinosaurs. 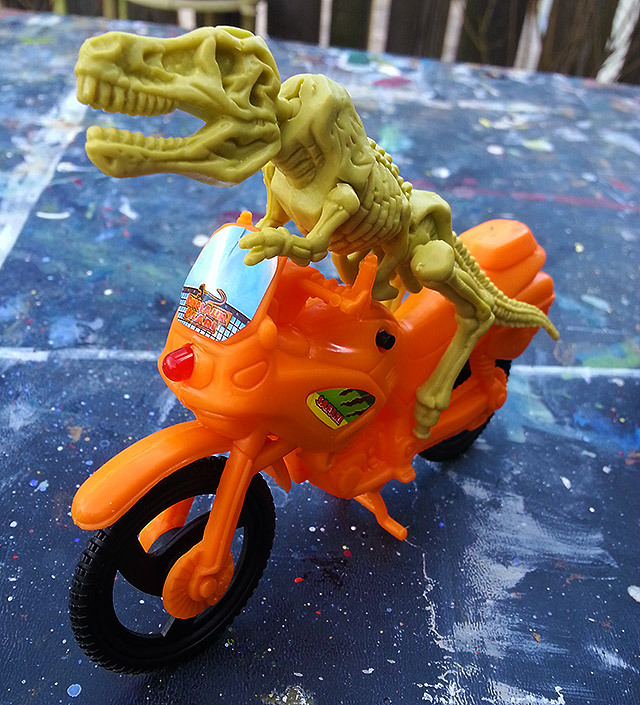 Since keeping up with dinosaurs on foot isn’t easy, Clark brought a motorcycle. Or maybe Mark did, I don’t know. 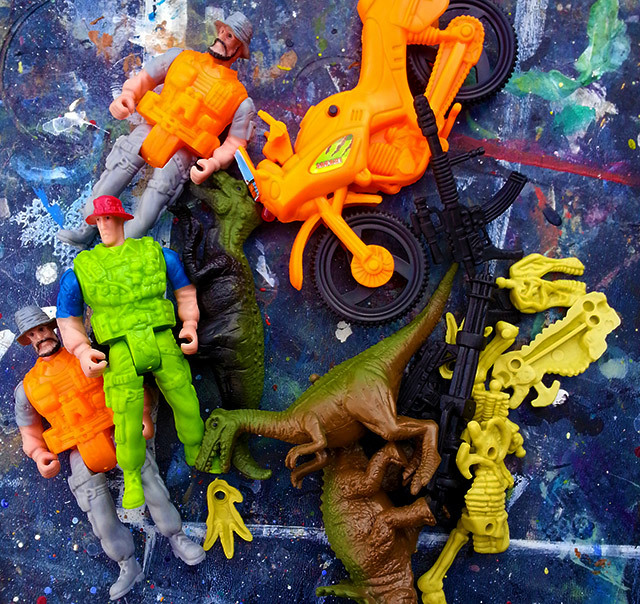 The motorcycle says “Dinosaur Safari” on it, I guess because killing dinosaurs is illegal and the guys needed a more innocuous cover. 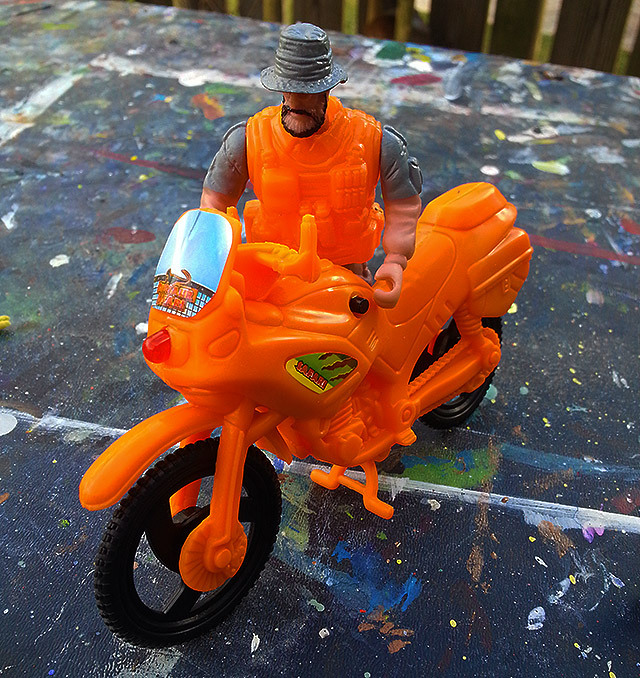 None of the figures are able to sit on the motorcycle without looking like they’ve never done that before. Then there are three dinosaurs. Two of them won’t stand no matter how hard you try, or what gods you pray to before removing your hands. Remembering Clark’s seven foot rifle, it finally dawned on me that they were meant to represent dead dinosaurs. The third figure, a dog-sized triceratops, is allowed to live only because a dog-sized triceratops is worth more alive. I hate these hunters so much. 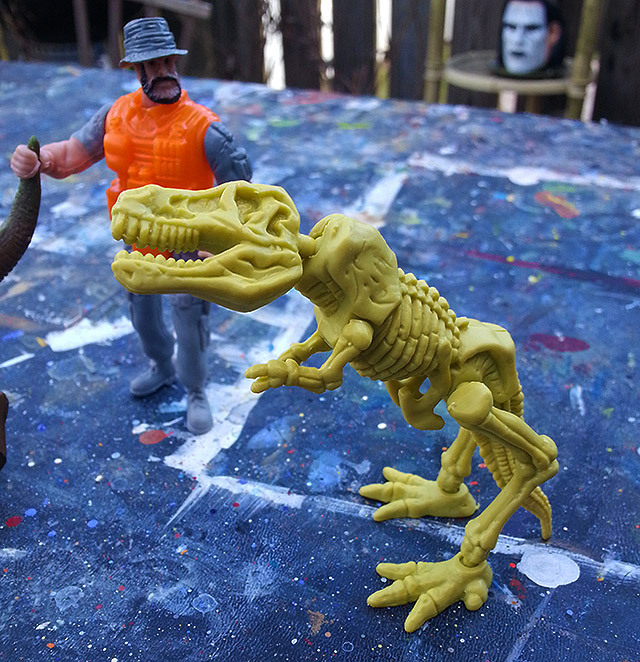 As Clark and Mr. Leader gather the corpses, an off-screen Mark chases around the tiny triceratops. If you’re on Team Dino, this is a dark day. Granted, since there was only one motorcycle for three guys, and none of them could actually sit on it, Undead Dino’s revenge could really only be classified as a minor inconvenience. Still, this was the shot heard round the jungle. 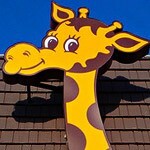 Never again would another dinosaur fall so quietly, or without resistance. 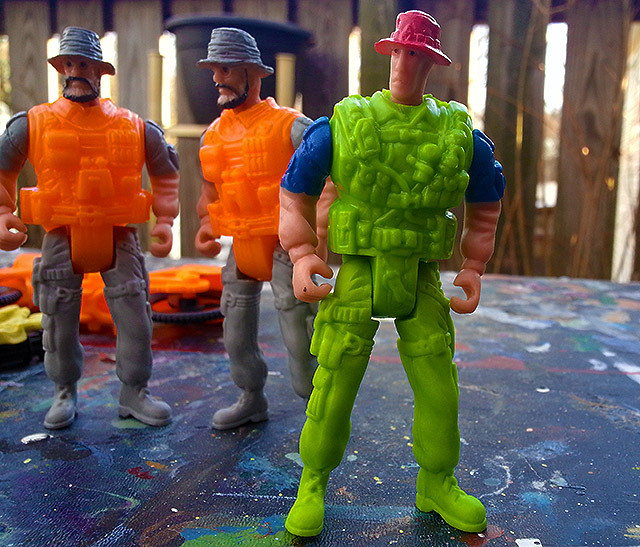 Yeah, for five bucks, you can get a lot of mileage out of these junky toys. 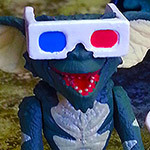 Dino Drac’s June Funpack is here! 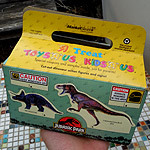 1992 TRU Jurassic Park Treat Box!